1. 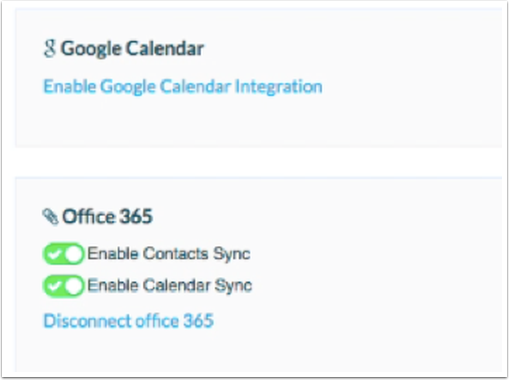 Be sure that your Office 365 Integration in enabled. 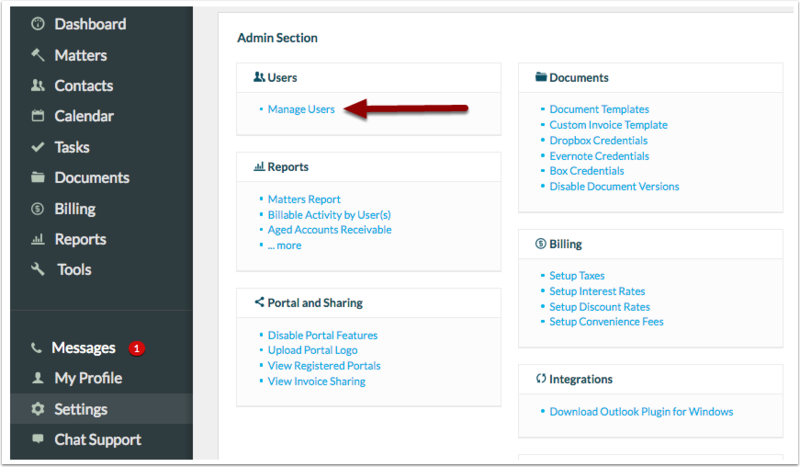 If it is not enabled, refer to the FAQ on how to Setup Office 365 integration. 4. 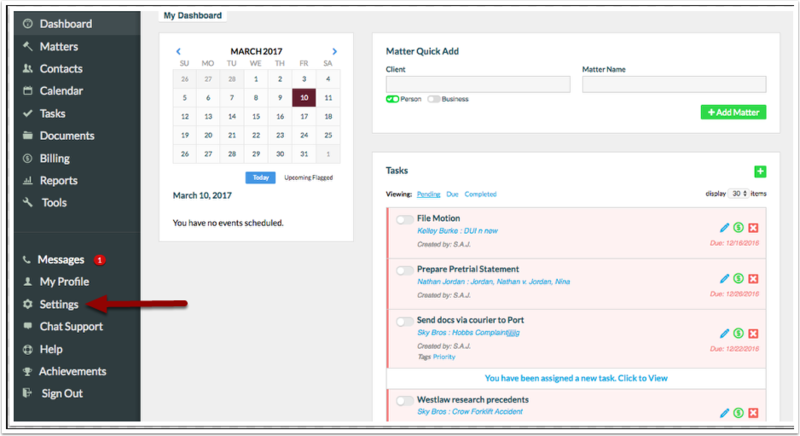 Select the user to set up Calendar sync with Office 365. 5. Enable the Calendar sync. 6. 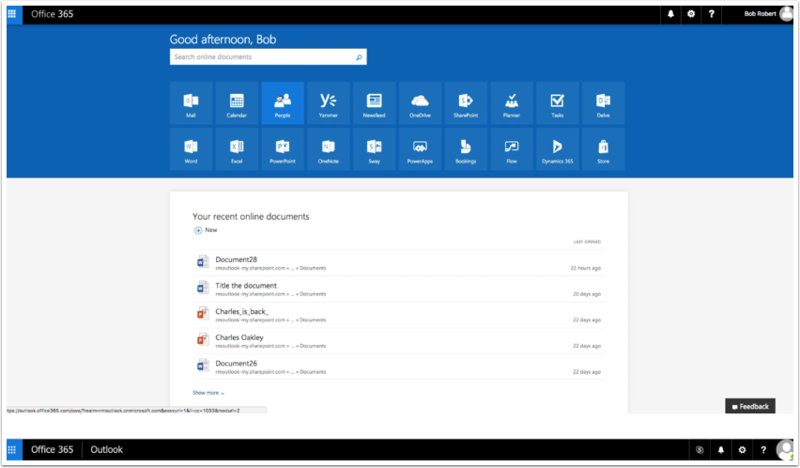 For Calendar, navigate to your Office 365 account and click ‘Calendar’. 7. 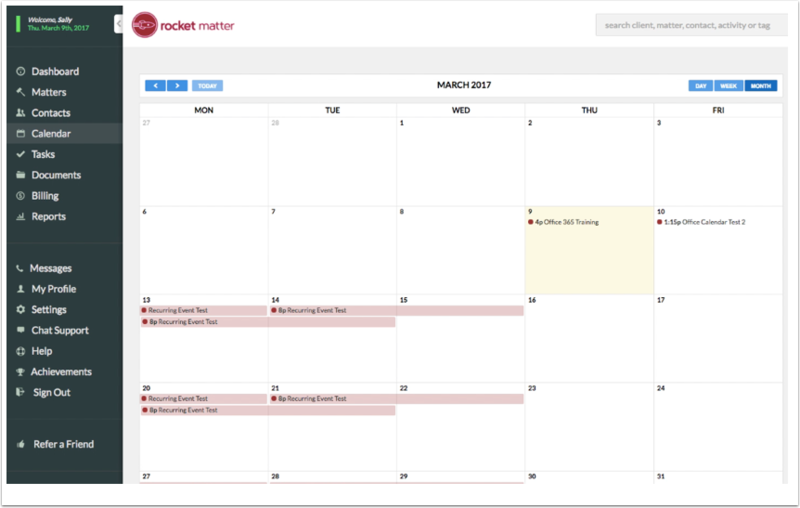 In the Office 365 Calendar section you will see that the Rocket Matter calendar events will now appear. 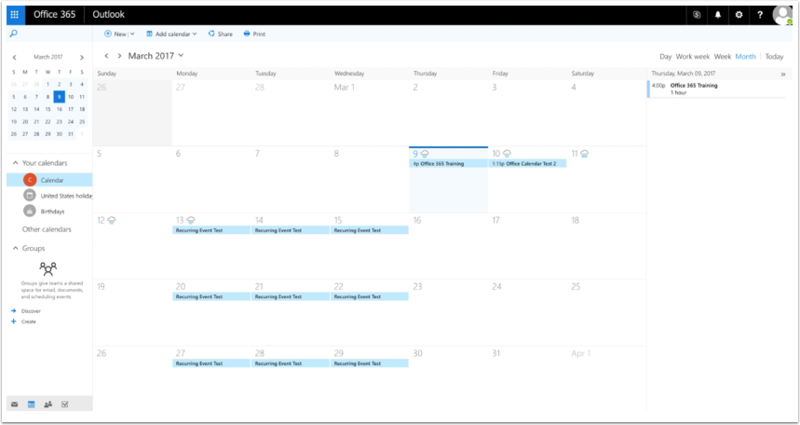 Calendar events from Office 365 will also have synced over to Rocket Matter, and will continue to sync automatically without any manual work. 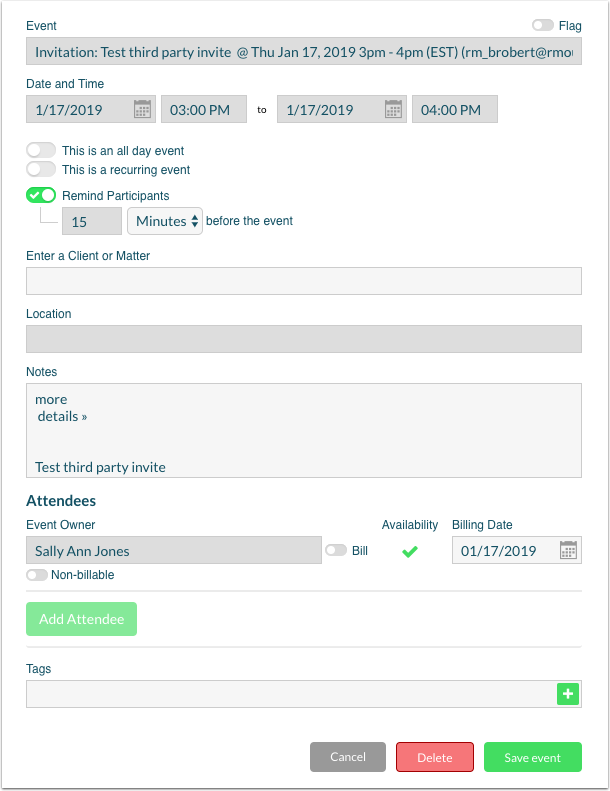 Note: Events that come from a third party will appear as invitations and cannot be edited. The status of your acceptance will also appear on the top of the invitation. Next: How to enable and use Document Versioning with the Office 365 Word Integration.